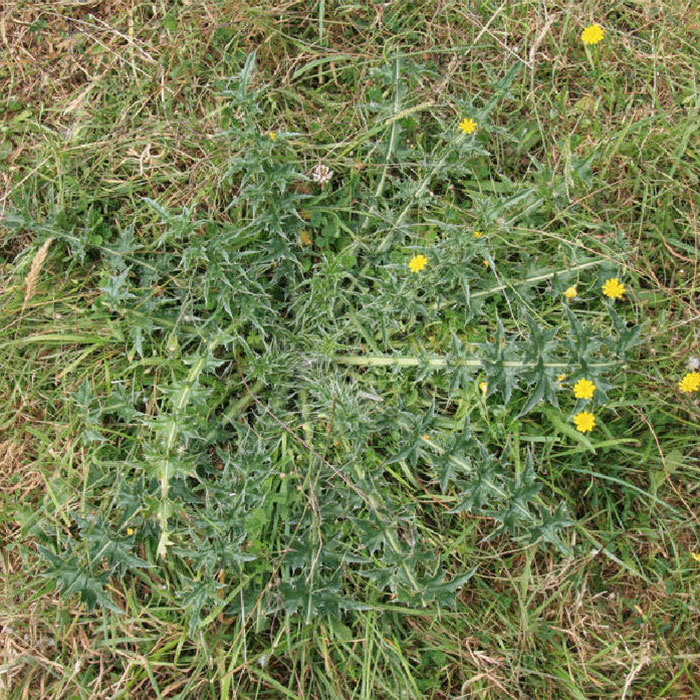 Almost all of these are weeds of pasture. 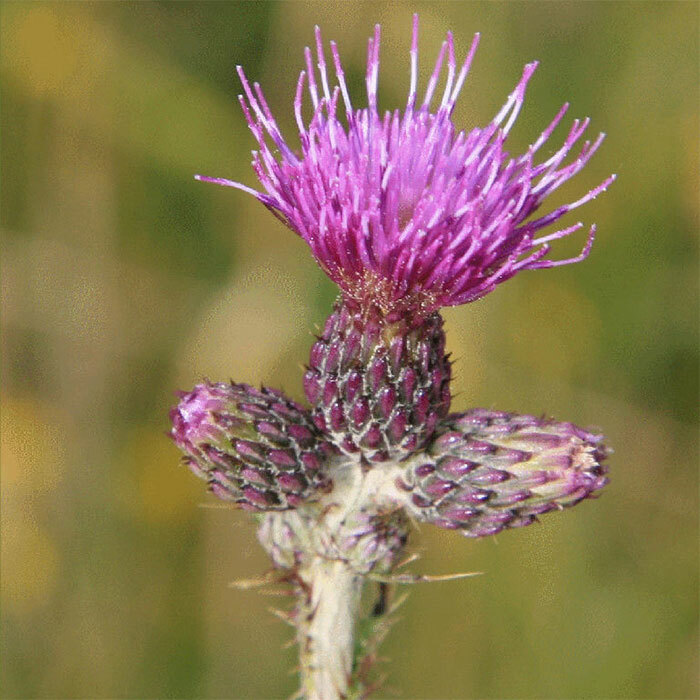 Below are their key characteristics. 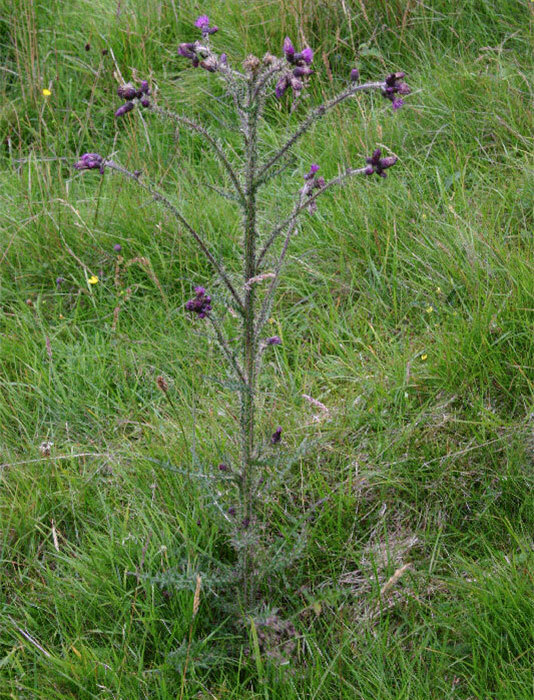 Seeds have thistle down which helps in seed dispersal. 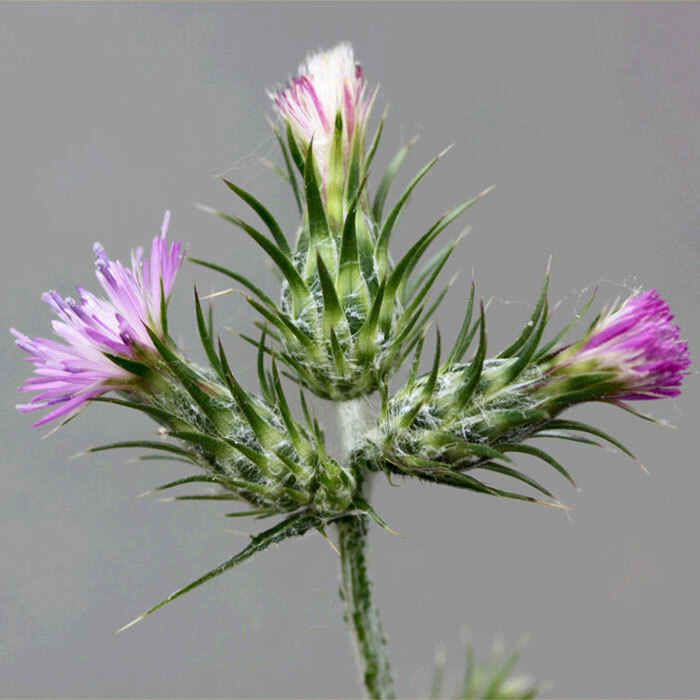 Patches of Californian thistles are often a single plant, the flower stems all rising from the same roots. 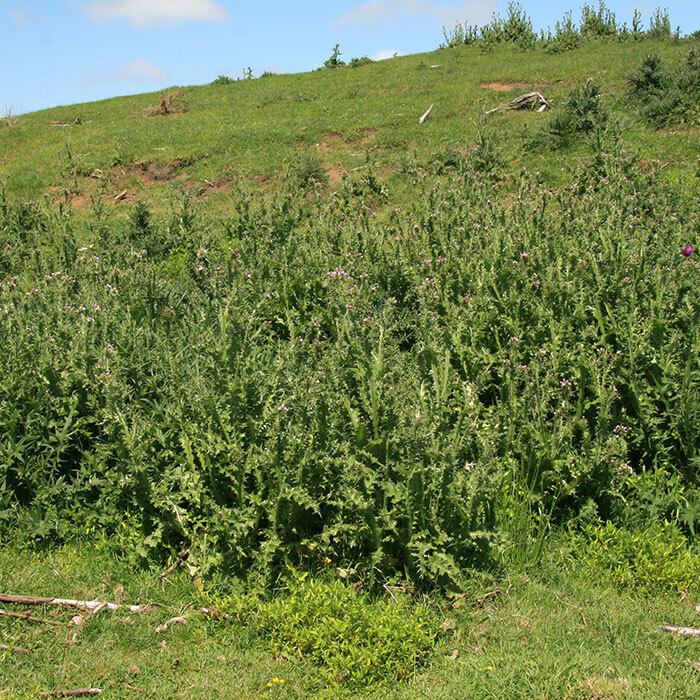 The whole patch often has flowers of the same colour and these are either male or female. 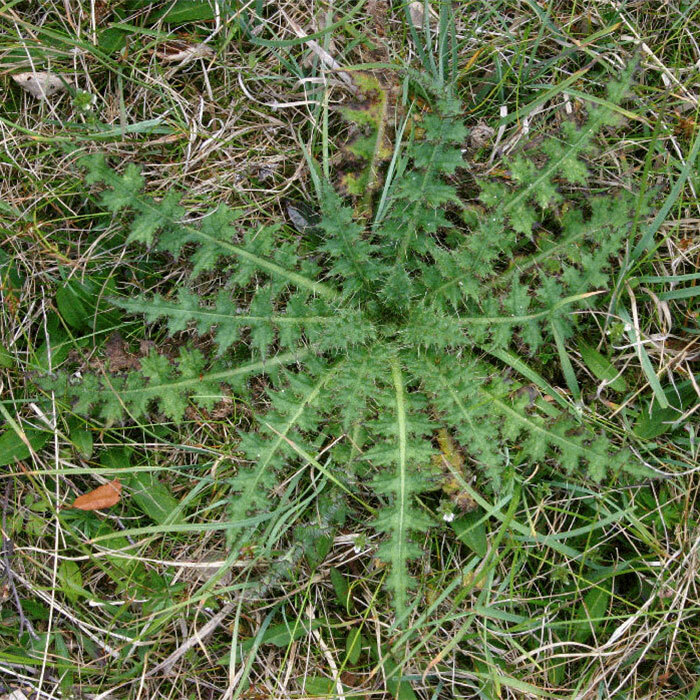 Very common in New Zealand’s pastures, wastelands, forests and roadsides. 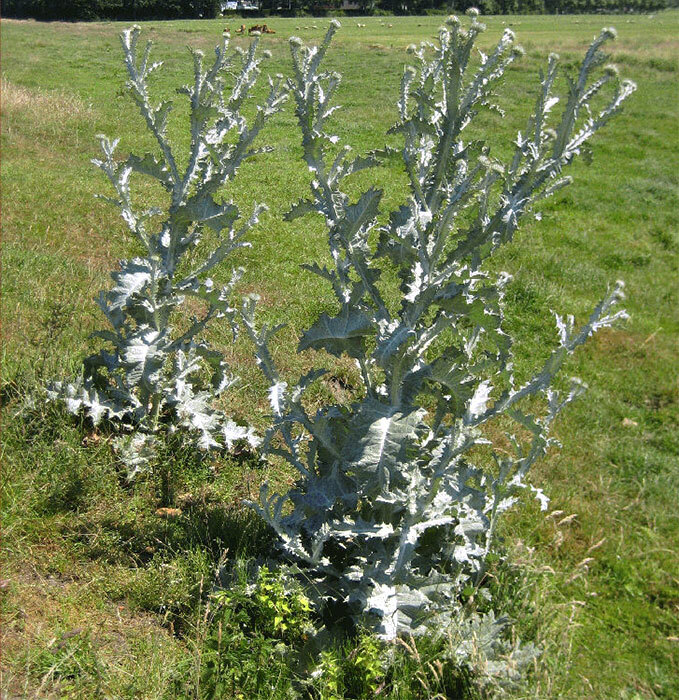 Very common in the Waikato but also found in similar habitats to nodding thistle across the North Island and occasionally in Canterbury. 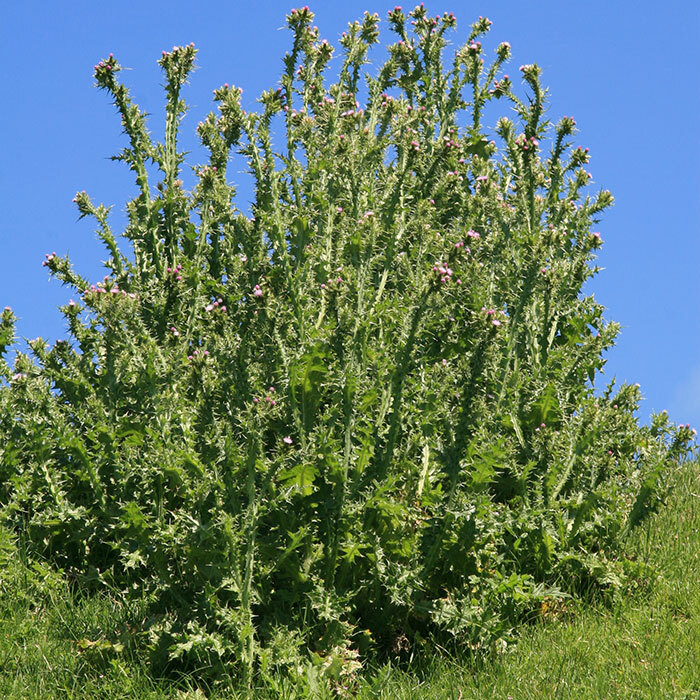 Usually found only in South Island, mostly along roadsides. 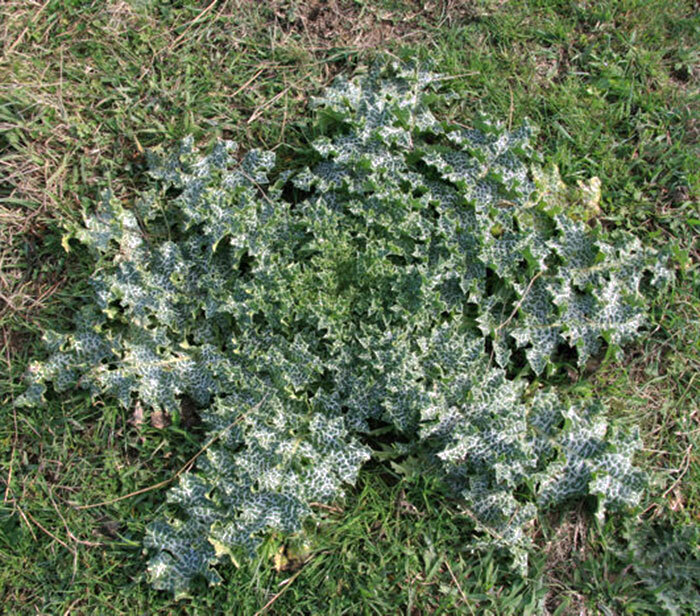 Common in damp areas of pasture and wasteland, also common in high rainfall areas of the North Island and occasionally found in the South Island. 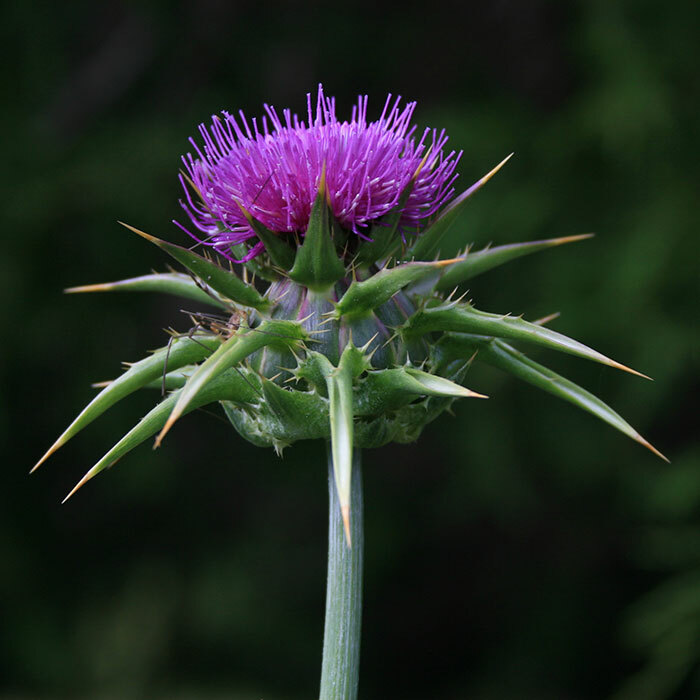 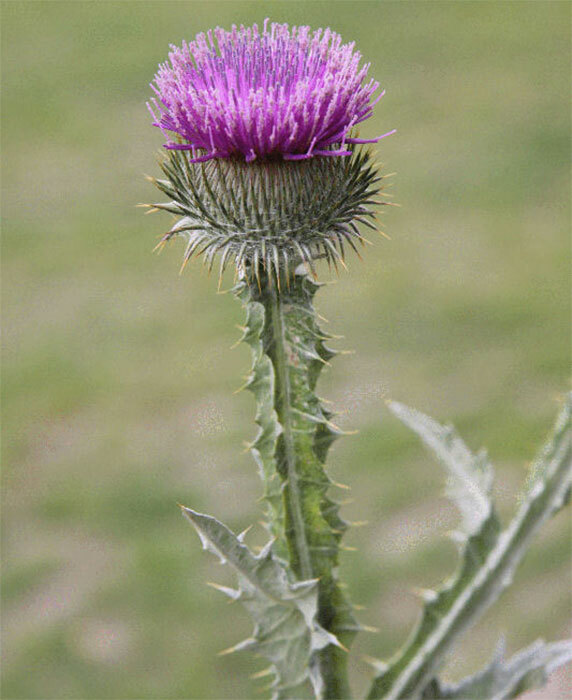 Native to Europe, this thistle is now found in New Zealand pastures, wastelands, roadsides and railways. 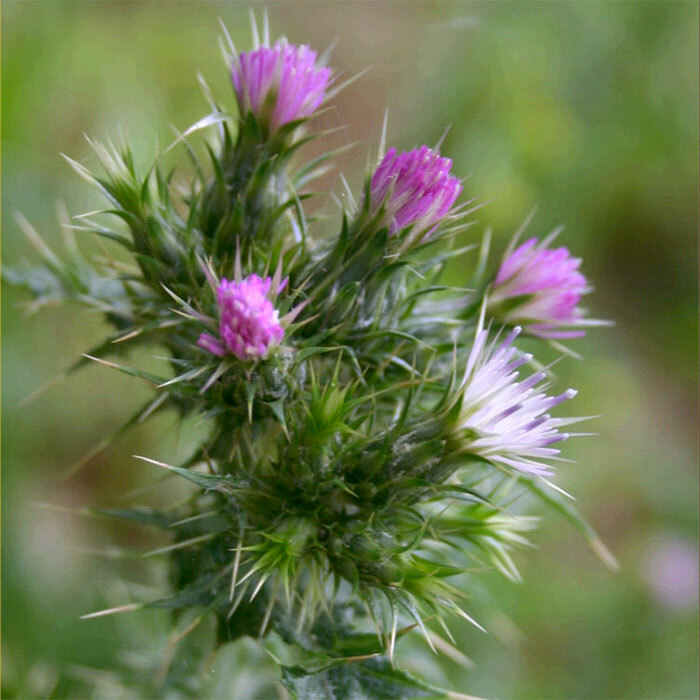 Seeds are a common component of birdseed and as a result the thistle is often found round chicken coops. 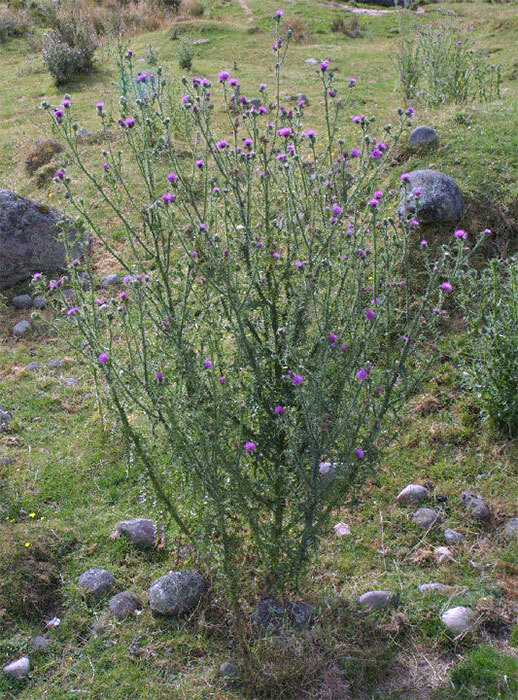 Common throughout both the North and South Islands, this thistle invades pastures, roadsides and wastelands, especially in places where pasture cover was poor or damaged the previous autumn. 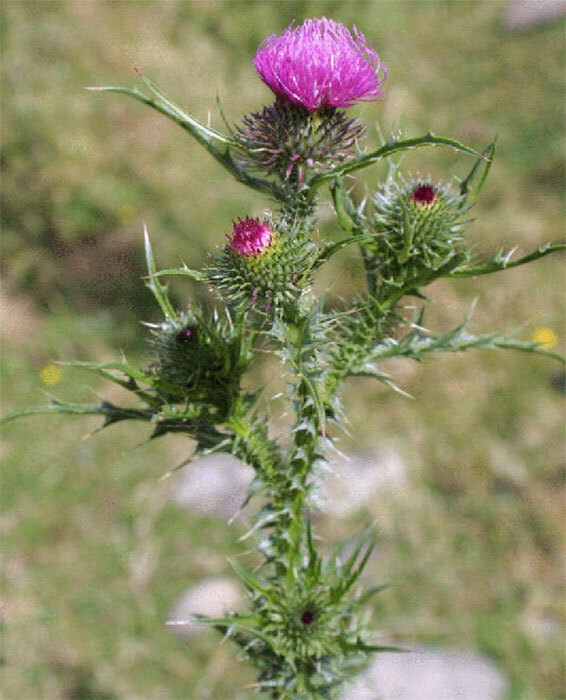 Often occurs in patches along with winged thistle, and its distribution is similar. 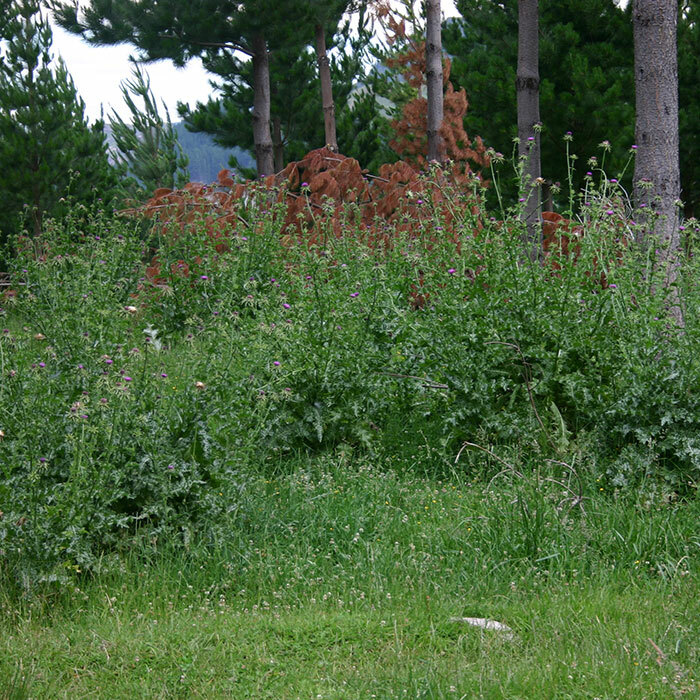 Common in parts of the North and South Islands in pastures, waste places and roadsides. 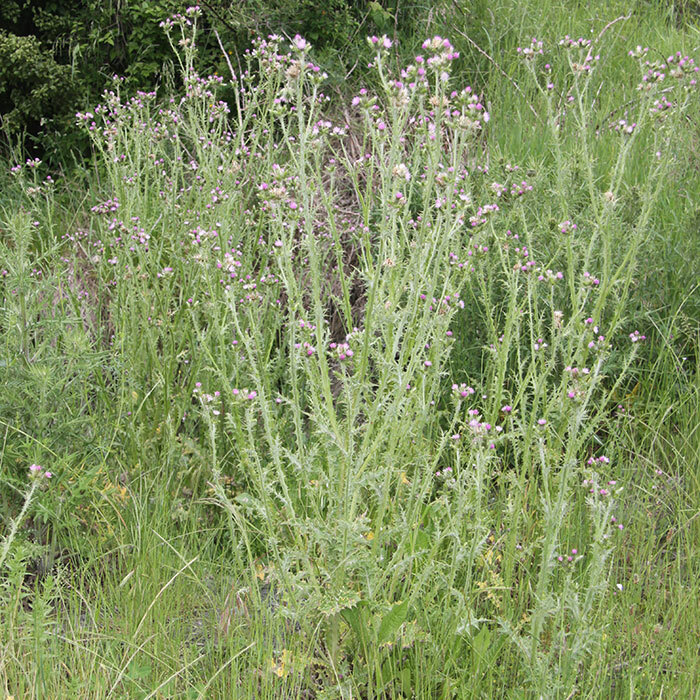 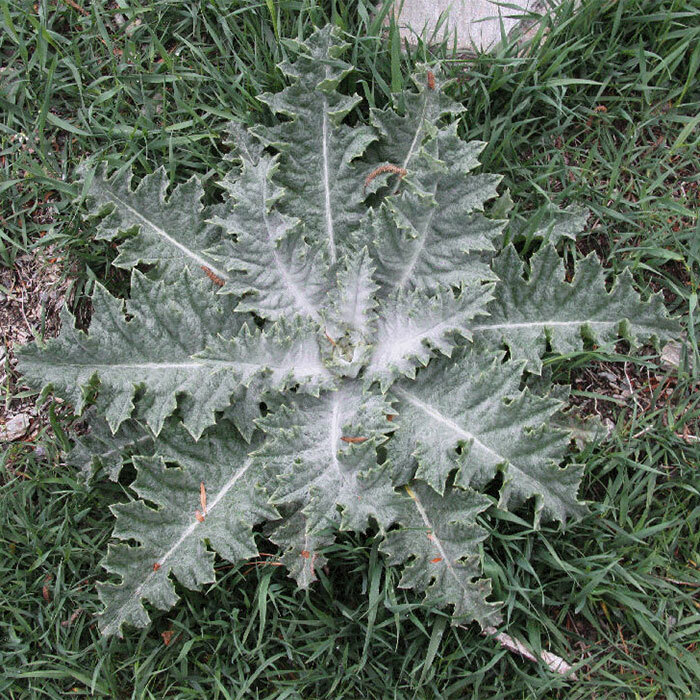 This thistle used to be much more common before the introduction of the first phenoxy herbicides, to which it is very sensitive.